Children of Bodom is a Finnish extreme metal band from Espoo. Formed in 1993 as Inearthed, the group consists of Alexi Laiho (Lead vocals, lead guitar), Janne Wirman (keyboards), Henkka T. Blacksmith (bass), Jaska Raatikainen (drums) and Daniel Freyberg (rhythm guitar). They have released ten studio albums, two live albums, two EPs, two compilation albums and one DVD. The band's third studio album, Follow the Reaper , was their first album to receive a Gold certification in Finland, and subsequent studio albums have acquired the same status. Three consecutive albums debuted at number one on the Finnish album charts,  and have also seen chart positions on the United States Billboard 200. The band has incorporated many different musical styles, leading critics and fans to label their work as melodic death metal,  power metal. and thrash metal. They are one of Finland's best selling artists of all time with more than 250,000 records sold there alone. Power metal is a subgenre of heavy metal combining characteristics of traditional heavy metal with speed metal, often within symphonic context. Generally, power metal is characterized by a faster, lighter, and more uplifting sound, in contrast with the heaviness and dissonance prevalent for example in extreme metal. Power metal bands usually have anthem-like songs with fantasy-based subject matter and strong choruses, thus creating a theatrical, dramatic and emotionally "powerful" sound. The term was first used in the middle of the 1980s and refers to two different but related styles: the first pioneered and largely practiced in North America with a harder sound similar to speed metal, and a later more widespread and popular style based in Europe, South America and Japan, with a lighter, more melodic sound and frequent use of keyboards. Children of Bodom was formed in 1993 by guitarist Alexi "Wildchild" Laiho and drummer Jaska Raatikainen under the name of Inearthed. They had known each other since early childhood and had shared an interest in heavy metal, especially death metal groups, such as Dissection, Entombed, Cannibal Corpse, Autopsy, and Obituary and classic metal groups such as Iron Maiden, Judas Priest, Black Sabbath, Metallica, Dio, and Ozzy Osbourne. Bassist Samuli Miettinen completed the initial line-up of the band. Inearthed recorded its first demo, Implosion of Heaven, during August of the same year. Jaska Raatikainen is a Finnish musician, the drummer and co-founder of the band Children of Bodom. Dissection was a Swedish extreme metal band from Strömstad, formed in 1989 by guitarist, vocalist and main songwriter Jon Nödtveidt and bass guitarist Peter Palmdahl. Despite a number of lineup changes, Dissection released The Somberlain in 1993 and Storm of the Light's Bane in 1995, before splitting up in 1997 due to Nödtveidt's imprisonment for complicity in the murder of Josef Meddour. Samuli was the main composer of the band's lyrics for the two years that he took part in Inearthed, but his family moved to the United States in 1995, making it impossible for him to remain in the band. His last contributions to Inearthed were the lyrics of the songs from their second demo, Ubiquitous Absence of Remission which was the first time they worked with producer Anssi Kippo at Astia-studios (Lappeenranta, Finland). In this demo, keyboards were incorporated into the band's songs for the first time. In order to achieve this, both Laiho and Raatikainen played the keyboards separately and subsequently mixed the recorded track with the other instruments. Laiho, who had previously only composed the melodies of the songs, assumed the role of the band's lyricist. Anssi Kippo is a platinum-selling Finnish producer who founded Astia Studios in 1994. He has produced and engineered numerous acts over the years and continues to manage both Astia A and B studios. 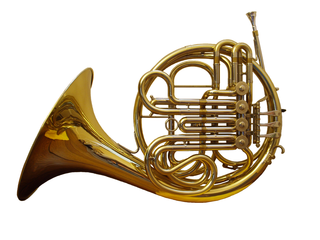 At the time, Raatikainen played French horn in a local big band, and during a rehearsal, he met Alexander Kuoppala, a trumpet player and also a proficient guitarist. Shortly after the recording of their second demo, Kuoppala was invited to join Inearthed as a rhythm guitarist. The bassist chosen to replace Samuli was Henkka "Blacksmith" Seppälä, whom Laiho and Raatikainen had previously known from school. Apart from playing the bass, Seppälä also often doubles as the band's backing vocalist. Also, the band recruited a musician to specialize on keyboards, whose name was Jani Pirisjoki. Both joined Inearthed in early 1996. With this new line-up, Inearthed proceeded to record their third demo, entitled Shining. This demo did not impress record labels any more than the previous ones had, and none took interest in the band. Despite their efforts, their music got little exposure and managed only to play at local events. As a last resort, the band decided to record an independent, self-funded album. Considering that none of the musicians had much money to begin with, it was an audacious move. Wirman was the component which was previously missing from Inearthed. His presence allowed the band to assume the style which would later characterize Children of Bodom. With Wirman, the band successfully recorded their first album in 1997. Their debut, Something Wild, was supposed to be released by a small Belgian label, Shiver Records, but second vocalist Sami Tenetz (from Thy Serpent) acquired a copy of their album through the hands of Kuoppala. They both worked for the same company at the time. Shortly after Inearthed signed this contract, Spinefarm Records' boss became interested in signing them for a country-wide release. [ citation needed ] The latter deal was much more attractive to the band since the Belgian label was offering them close to no help, to the point where they would have to distribute and sell the album themselves. Something Wild was produced, recorded and mixed by Anssi Kippo and Children of Bodom at Astia-studios (Lappeenranta, Finland). In an attempt to promote their band, they opened a show for Dimmu Borgir in 1997. Their success was such that a representative from the Nuclear Blast label approached them with a contract for a European release, a deal which started on the subsequent year. [ citation needed ]Something Wild was released in late 1997 in Finland and in 1998 worldwide. In early 1998, for promotional purposes, the band recorded a music video of the song "Deadnight Warrior". The video was directed by Mika Lindberg and had a slim budget of €1000. It made use of simple scenery, which consisted essentially of an outdoors location after a snowstorm. The band played for a couple of hours at night, with an average temperature of minus fifteen degrees Celsius. Although Laiho is very critical of all of the music he has written, he notes that he dislikes Something Wild the most of all of his albums. When recording this album, Laiho had tried to mimic the style of one of his idols, Yngwie Malmsteen, which is why Something Wild is considered one of the most technical albums Children of Bodom have produced. Despite this, he still considers it to be their "most important" record, as it "put them on the map." Children of Bodom's first European tour began in February 1998. They played with bands such as Hypocrisy (at such festivals as Under the Black Sun), The Kovenant and Agathodaimon, but suffered from the absence of Wirman, who was concentrating on finishing his studies. [ citation needed ] He was replaced by pianist Erna Siikavirta for the duration of the tour. Months later, the band recorded two new songs again at Astia-studios with producer Anssi Kippo, entitled "Towards Dead End" and "Children of Bodom". The latter was included in a compilation by Spinefarm Records, which after being released remained on the top of Finnish charts for eight consecutive weeks. [ citation needed ] In late August, the band played the song "Forevermore" live for the first time during a show in Russia. This song was later renamed "Downfall". Their second European tour occurred in September of that same year, but once more Wirman was not able to perform with them. Laiho's then-girlfriend Kimberly Goss (from Sinergy and formerly of Dimmu Borgir, Ancient and Therion) assumed the keyboards this time. By the end of the tour, Kimberly invited Laiho to join Sinergy, which at the time was still in its early stages. The second album, Hatebreeder , was recorded between the end of 1998 and the beginning of 1999 by Anssi Kippo at Astia-studios (Lappeenranta, Finland). It was originally entitled Towards Dead End, but while in studio the members of the band opted for the current title. To create anticipation in Finland, the '"Downfall" single was released two weeks prior to the album's release. It was accompanied by a new music video, once more directed by Mika Lindberg. Hatebreeder ultimately topped the charts in many European countries. In July 1999, the success of the "Downfall" single and Hatebreeder allowed Children of Bodom to schedule three concerts in Japan with Sinergy and In Flames. During two of these concerts, the live album Tokyo Warhearts was recorded. In it the band managed to seamlessly reproduce and at times improve on their songs. At their request, no overdubs were used on the recording of the concert. For their next release, Children of Bodom decided to make use of Peter Tägtgren's Abyss studio in Sweden instead of the Finnish Astia-studio from Anssi Kippo where they had recorded all of their previous releases including the demos from Inearthed. The band wrote eight songs for the album. While in the studio, they decided to include an extra track that was hastily composed and featured lyrics improvised by Laiho; that track would eventually receive the name of "Kissing the Shadows". The band gave the album the name of Follow the Reaper and recording sessions took place between August and September 2000; the album saw a worldwide release in late 2000. A music video for "Everytime I Die" was recorded by the Finnish director Tuukka Temonen shortly after. In February 2002, Children of Bodom began writing songs for their upcoming album, entitled Hate Crew Deathroll . They returned to Astia-studio (Lappeenranta, Finland) to work with producer Anssi Kippo again. The session ensued during the months of August and September, and the album was released January 2003 in Finland. It remained on the top of the Finnish charts for a total of three weeks and subsequently became the band's first gold album. Eventually, all of the band's albums reached this status and Follow the Reaper reached platinum. Children of Bodom's first world tour began in 2003 and lasted until late 2004. The tour had many sold-out concerts and marked the consolidation of the band in North America, but was also accompanied by an unexpected announcement: Kuoppala decided to quit Children of Bodom for personal reasons right in the middle of the tour without giving previous warning. In an interview, when Laiho was asked why Kuoppala left the band, he stated that "Well, I try to be careful about what I say about him because there is no bad blood between us. He told me that he just got sick of touring and the whole band/rock 'n roll lifestyle living in hotels and tour buses and stuff. For me it was really weird because he was always the one who was SO into it! He was a die hard rock 'n roller and suddenly he made a quick 180 turn in his whole life. This whole situation involves a new girlfriend." Griffin's guitarist Kai Nergaard was invited by Laiho to replace Kuoppala, but did not accept the offer. Thus, Alexi's bandmate from Sinergy, Roope Latvala (founding member of Stone, one of the bands which started the heavy metal movement in Finland) assumed the guitars as a session player, until a more permanent solution could be found. This formation was introduced in Moscow on 16 August. Children of Bodom live in Milan 2006. 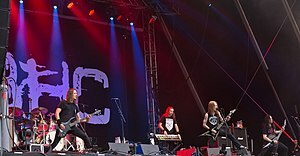 After finishing the world tour with Latvala – who then assumed a permanent position in the band's line-up – Children of Bodom proceeded to record and release the EP Trashed, Lost & Strungout and the single "In Your Face", which contained songs from their upcoming album and a parody cover of "Oops!... I Did It Again" by Britney Spears. In late 2005, the album Are You Dead Yet? was released, featuring a style different from what had been presented by the band on its previous works. Simpler and heavier guitar riffs were incorporated into Children of Bodom's sound, as well as elements from industrial music. Reactions from fans to the release were varied; however, the album remains the band's most commercially successful. It was awarded gold status in Finland and reached first place on the Finnish charts, 16th in Germany, 16 in Sweden and 17 in Japan. The next release of the band was a DVD-single for the song "In Your Face", which included the music video, backstage footage from the band and a live recording of the song "Sixpounder" at Wacken Open Air festival in 2004. In June, Children of Bodom was in front of 120,000 spectators, one of their biggest concerts, on the last concert of the Böhse Onkelz. The DVD of the concert, called Vaya Con Tioz, includes Children of Bodom's performance of "Everytime I Die". Children of Bodom's live DVD Chaos Ridden Years - Stockholm Knockout Live was released on 5 December 2006. It contains a recording of a live concert performed on 5 February 2006 in Stockholm, Sweden, with over 90 minutes of live footage. "Chaos Ridden Years" refers to a documentary featuring interviews with band members about the history of the band and footage of the band on tour. It also contains every music video Children of Bodom has made, except for "Needled 24/7". Guitarist Alexi Laiho was voted world's best guitarist of 2006 by Metal Hammer magazine. In June 2006, the band embarked on one of their biggest tours: The Unholy Alliance tour, playing alongside Slayer, Lamb of God, Mastodon, In Flames and Thine Eyes Bleed. The bands toured the US through June and July and Europe through October and November. On 31 January 2007, Laiho slid down the lane at a bowling alley after accidentally stepping over the foul line. He slammed hard into the wall, breaking his left shoulder. This rendered him unable to play guitar for six weeks. Due to this incident, Children of Bodom was forced to cancel their first 2007 tours and a festival that they were slated to headline. Children of Bodom was selected to replace Velvet Revolver for the Monsters of Rock festival, playing on the same stage as Ozzy Osbourne and Megadeth. In February 2009, Children of Bodom hinted at plans to release a cover album entitled Skeletons in the Closet , which was released on 23 September 2009. They also admitted to being "lazy" when it comes to practicing and talked about plans to have more songs on future albums. The band embarked on a tour of South America and Mexico in September 2009. Support for the trek came from Amorphis. Also in September and October 2009, the band returned to North America to headline a massive month-long tour. On most dates support on the trek came from The Black Dahlia Murder and Skeletonwitch. Austrian Death Machine and Holy Grail made a special guest appearance in the main support slot at the tour's second Pomona, California date. On October 18, 2009, four days after the band's North American tour finale in Honolulu, Hawaii they performed at Japan's Loudpark Festival along with Megadeth, Judas Priest, Slayer, Anthrax, Rob Zombie and Arch Enemy. In the six days following their performance at the Loudpark Festival, they held three shows in Hong Kong, Taiwan and China respectively. They finished their two-month September to October tour in Moscow, Russia. This concluded their year and a half long Blooddrunk World Tour. Children of Bodom featured a contest to promote their new album in which anyone could win prizes featuring an ESP/LTD M-53 electric guitar, the band's entire back catalog, and Skeletons in the Closet. 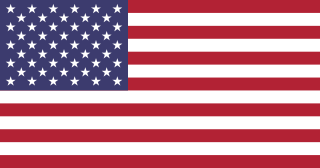 The contest ran from 25 August to 21 September 2009. The winners were announced 28 September 2009. In November the band announced "The Ugly World Tour 2011" which would run from March–May 2011 and would feature dates around Europe. Opening Acts were Ensiferum, Machinae Supremacy and Amon Amarth (UK only). On 24 November, it was announced that the title of the album would be Relentless Reckless Forever . The album was released on 8 March 2011. A music video for "Was It Worth It?" was produced, featuring skateboarder Chris Cole as well as noted pro skaters Jamie Thomas, Garrett Hill and Tom Asta. "Was It Worth It?" was released as a downloadable track for Guitar Hero: Warriors of Rock on 2 February 2011 for European PlayStation 3 owners, and 8 February 2011 for Xbox 360 and Nintendo Wii worldwide, as well as non-European PlayStation 3 owners. Halo of Blood is the band's eighth studio album. It was released on 6 June in Europe, 10 June in the United Kingdom and on 11 June in North America. The Mayhem Festival tour alongside Rob Zombie, Mastodon and Amon Amarth was also announced on 18 March 2013. On 7 April 2015, the band announced that they have begun working on the follow-up of Halo of Blood . On 29 May 2015, the band announced on their Facebook page that Roope Latvala is no longer part of Children of Bodom with the new album to be recorded as a four-piece for the first time. However, the band later updated that Latvala's part in the band will be filled in by Antti Wirman, keyboardist Janne Wirman's younger brother for live commitments until the end of the year; he debuted with the band in a private live show in Helsinki. In a later interview with Wirman, he stated that his brother would not join the band permanently. On 8 June 2015, the album title was announced as I Worship Chaos and was released through Nuclear Blast on 2 October 2015. On 19 January 2016, the band announced the addition of Daniel Freyberg on guitar. He would make his live debut with them in Tampa, Florida on 9 February. In an interview with Noizr Zine, taken on September 14, 2017, Children of Bodom's keyboardist Janne Wirman answering to the question about the band's plans to start working on a new album with "the same production team" (Mikko Karmila and Mika Jussila) after '20 Years Down & Dirty' tour ends, said the following: "Yes, I think we are. And we’re going to record it in our warehouse." In November 2017, Bassist Henkka Seppälä discussed in an interview that the band have half an album's worth of material written for the next album. They began to start recording the new album in March 2018. In August 2018, Seppälä stated in an interview with TotalRock Radio that the album will be released in early 2019. In November 2018 the band revealed that the next album will be called Hexed and will be released on 8 March 2019. Trashed, Lost & Strungout is a single and an EP released by the melodic death metal band Children of Bodom on Spinefarm Records. It was released on October 25, 2004. Unlike most EPs, it was released on CD and DVD. The CD includes 3 other songs and the DVD includes the single and 9 other songs. This track has also appeared in Children of Bodom's album Are You Dead Yet?. "Tie My Rope" is a 2007 song from the Finnish melodic death metal band Children of Bodom. The song is from Children of Bodom's sixth studio album, Blooddrunk. The song was also included on Viva La Bands, Vol. 2, a compilation album from the program Viva La Bam and the tracks on the album were selected by star Bam Margera. "Downfall" is a single taken from the second studio album Hatebreeder, by the Finnish metal band Children of Bodom. The song, originally called "Forevermore", was written by the lead vocalist Alexi Laiho. The video of "Downfall" was directed by Mika Lindberg. Side-b contains the cover track "No Commands" by fellow Finnish band Stone. 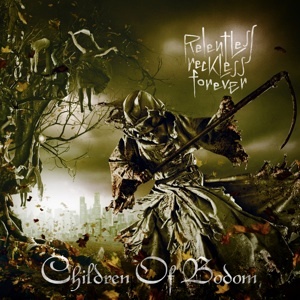 Relentless Reckless Forever is the seventh album by Finnish melodic death metal band Children of Bodom, released on 8 March 2011 through Spinefarm Records / Universal Music/Fearless Records/Nuclear Blast Records. It is the first Children of Bodom album to not have a song with "Bodom" in the title. Halo of Blood is the eighth studio album by Finnish melodic death metal band Children of Bodom. It was released on June 7, 2013 in Europe and June 11 in North America on Nuclear Blast Records. In Japan, the album was released by Marquee Inc. on May 29, 2013. This would be the last album with guitarist Roope Latvala before he left the band in May 2015. ↑ "Discography Children of Bodom" (in Finnish). Finnish charts. Retrieved 24 May 2009. ↑ "Metal from Finland: Children Of Bodom". Metalfromfinland.com. Retrieved 22 July 2011. ↑ Stagno, Mike (28 November 2006). "Children of Bodom – Follow the Reaper". Sputnik Music. Retrieved 10 January 2017. ↑ Ankeny, Jason. "Children of Bodom". Allmusic . Retrieved 6 November 2011. ↑ "Metalstorm.ee: Children of Bodom biography". Metalstorm.ee. Retrieved 17 June 2017. 1 2 "CoC : Children of Bodom : Interview : 1/16/1999". Chroniclesofchaos.com. Retrieved 6 November 2011. ↑ "Children of Bodom FAQs". COBHC.com. ↑ "Metal News - Finnish Metal Music Awards 2003 Results ( Metal Underground . com )". Metalunderground.com. Retrieved 22 July 2011. ↑ "Interview with Children of Bodom's Alexi Laiho". Metal-Rules.com. Retrieved 22 July 2011. ↑ "Children of Bodom Hate Crew Official Website | The Ugly World Tour 2011". Cobhc.com. Retrieved 22 July 2011. ↑ "Metal News - Children of Bodom Reveal American Release Date ( Metal Underground . com )". Metalunderground.com. Retrieved 22 July 2011. ↑ "Gigantour 2008 lineup". Roadrunnerrecords.com. Retrieved 22 July 2011. ↑ "Billing/Bands 2008". Wacken Open Air . Archived from the original on 27 September 2007. Retrieved 3 December 2007. ↑ "Children of Bodom Hate Crew - Official Website". Cobhc.com. Retrieved 22 July 2011. ↑ "Blabbermouth.Net - Lamb of God, As I Lay Dying, Children of Bodom To Team Up For North American Tour". Roadrunnerrecords.com. Archived from the original on 21 February 2009. Retrieved 26 July 2010. ↑ "CHILDREN OF BODOM Performs Abbreviated Set in New York City". Roadrunnerrecords.com. Archived from the original on 13 May 2009. Retrieved 26 July 2010. ↑ "Children of Bodom To Release 'Skeletons in the Closet' Collection of Covers". Blabbermouth.net . 23 April 2009. Retrieved 23 April 2009. ↑ "Children of Bodom Talk Cover Albums!". Female First. 23 February 2009. Retrieved 26 July 2010. ↑ "CHILDREN OF BODOM Bassist Checks in From The Road". Roadrunnerrecords.com. Archived from the original on 1 February 2013. Retrieved 26 July 2010. ↑ "Children of Bodom Hate Crew Official Website". www.cobhc.com. Retrieved 26 July 2010. ↑ "CHILDREN OF BODOM New Song titles Revealed". Jorzine.com. Archived from the original on 13 July 2011. Retrieved 6 November 2011. ↑ "CHILDREN OF BODOM: 'Was It Worth It?' Video Released - Feb. 15, 2011". Roadrunnerrecords.com. Archived from the original on 19 February 2011. Retrieved 22 July 2011. ↑ Kelly, Neil (19 June 2013). 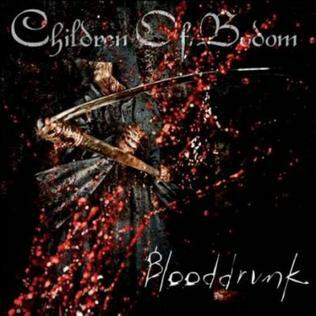 "Children of Bodom: Halo of Blood". PopMatters. ↑ "Halo of Blood Over Australia Tour 2014 at The Hi-Fi Sydney (Moore Park) on 9 May 2014 –". Last.fm. 9 May 2014. Retrieved 27 October 2015. ↑ "Children of Bodom Begin Work on New Album | Music News @". Ultimate-guitar.com. 5 April 2015. Retrieved 27 October 2015. ↑ Vallecillo, Alix. "Children of Bodom part ways with guitarist". Metal Insider. Retrieved 30 May 2015. ↑ "Interview: Janne Wirman from Children Of Bodom". Moshville. Retrieved 20 August 2015. ↑ "Children of Bodom Recruit New Guitarist". http://veniamagazine.se/. 21 January 2016. Retrieved 30 May 2016. ↑ Noizr Official Youtube channel. "Interview: CHILDREN OF BODOM's Janne Wirman on Touring, New Album, and "Stranger Things" — Noizr" . Retrieved 2017-09-29. ↑ TotalRock Radio Official Youtube channel. "Children of Bodom interview Wacken 2018 — TotalRock Radio" . Retrieved 2018-08-20. Wikimedia Commons has media related to Children of Bodom .